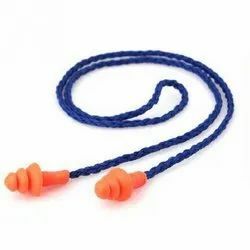 SHIVA INDUSTRIES are offering Eye Ear Protection all types of eye and ear protection. 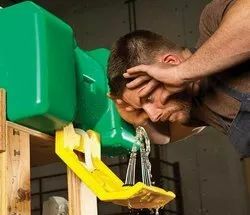 Portable gravity operated eyewash features a 10-gallon capacity. FDA high Density polyethylene tank that provides for over 15 minutes of full pattern flushing at 0.4 gpm. Pulling the yellow activation amr down to the open position activates unit. Tank has handle on the top to allow easy handling . 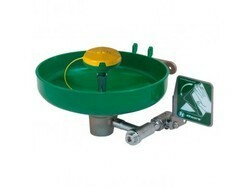 A wide-fill opening with threaded cap permits easy inspection, cleaning and filling. Model supplied with wall bracket and bacteriostatic additive to permit storage of water for water for up to six months. Shiva Industries providing a wide range of 3M 1100 Foam Ear Plugs. 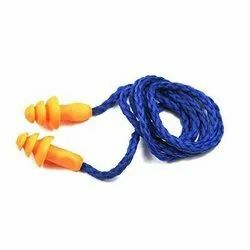 Made from soft hypoallergenic PU foam material to provide maximum comfort and low pressure inside the ear. The Tapered shape is designed to adjust to most ear canals. They are made from soft hypo-allergenic material. Adjustable lens angle and temple lengths. Wrap around lens provides front and side protection. Unisex design. Vertically vented browguard designed to help minimize fogging. DX™ anti-fog hard coat protects from fog, scratching, and many chemicals. 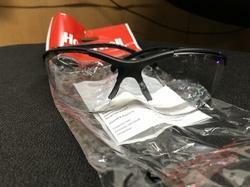 Polycarbonate lens absorbs 99.9% UV. Meets the requirements of CSA Z94.3-2007 and the High Impact Requirements of ANSI Z87.1-2003. The sweeping curves of the polycarbonate lens and accented frames give QX protective eyewear sporty style. With a wraparound design and seamless coverage, QX protective eyewear delivers distortion-free vision with peripheral clarity. It is available with options to maximize fit and comfort, with two temple designs and two nosepiece options for greater comfort and protection. 3M™ DX™ anti-fog hard coat. 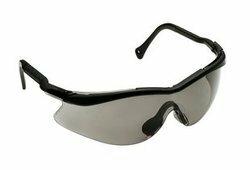 The Virtua AP protective eyewear offers sleek unisex styling and lightweight comfort. 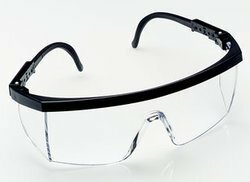 These new safety glasses from 3M meet the newly revised High Impact requirements of the ANSI Z87.1-2010 Standard. 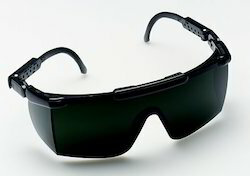 Virtua AP is designed to provide stylish protection, exceptional value and comfortable fit in safety glasses. Meets the High Impact requirements of CAN/CSA Z94.3-2007 and ANSI Z87.1-2010. Sleek, unisex Virtua sport protective eyewear combines athletic-look styling, versatility and value with a high wraparound, anti-fog polycarbonate lens for excellent eye coverage and a comfortable fit. The Virtua sport protective eyewear line merges a comfortable lightweight frame with outstanding unisex style, protection and affordability. Designed for indoor or outdoor use, its high wrap lens provides exceptional impact protection and an unobstructed view. 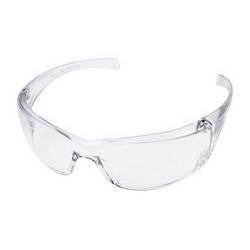 Virtua sport protective eyewear is a valuable choice for virtually any eye protection need. Made of High density granules & Acrylic/Polycarbonate sheet. Thickness 1.5 mm to 3 mm. Size 6" x 12" & 9" x 12"
Made of high Density plastic for better impact resistance over a wide range of temperature. 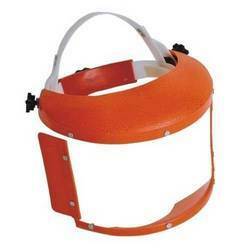 Fitted With Head guard, chin guard, side protection & Screw type adjustable sponge padded head ring. Visor is fitted with aluminum rivets for superior fit. Can be used in chemical plant sector & general industries. 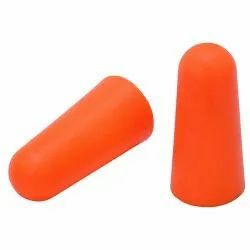 Looking for Eye Ear Protection ?